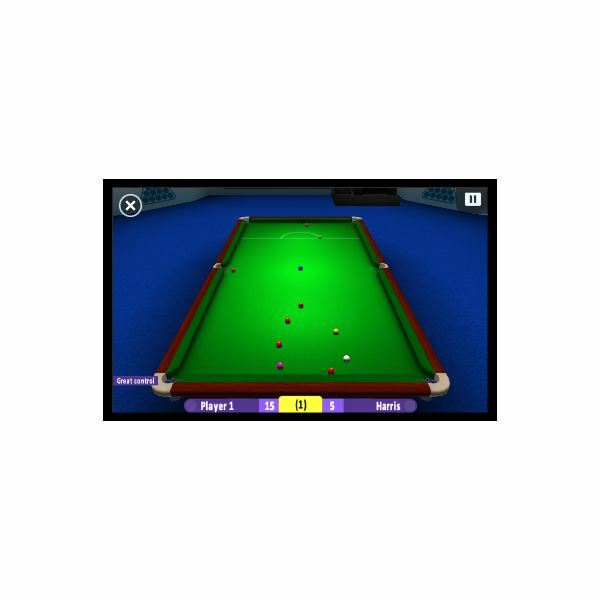 Top Windows Phone Snooker Game - Pot the Black with International Snooker! While many of the top games for Windows Phone 7 feature Xbox LIVE integration, there is a thriving community of independent developers without the resources to have their title featured in this way, but nevertheless creating good quality gaming experiences. One currently popular title is International Snooker, a game based on the popular table-top sport which (for the uninitiated) is like a complicated version of pool. Based on a larger table with more balls and a different points system, snooker is a popular sport played the world over, but requires some intricacies of skill that pool lacks. So how easily does it translate to a mobile phone? The aim of snooker is simple – pot as many balls as you can. Note, however, that this must be done in a specific order, with red balls alternated with colored balls, before the replaced colors are then potted from yellow through green and brown, then blue and pink and finally the black. Any snooker game requires the user to be able to control the direction of the cue ball, any screw or side that is required from the cue and indeed a way of selecting the strength of the shot. 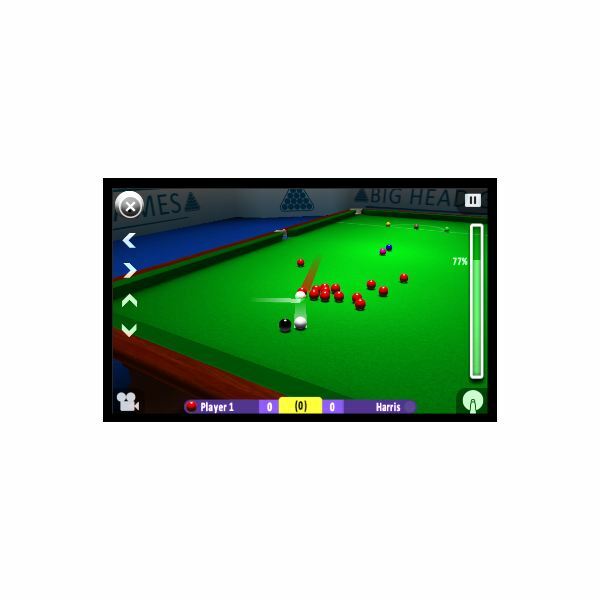 International Snooker features all of these elements and, with the various competition modes that are featured, offers a well-rounded gaming experience. Unlike some arcade games, the graphics of International Snooker are vital for the game’s believability and gameplay. The table is clearly illustrated, the balls are animated with pace and the overlay guide that displays the direction of the cue ball and the destination of the ball you’re trying to hit are vital elements (although they can be disabled) that are provided with competence. Lining up a shot may seem tricky at first, but this is helped by setting the difficulty setting to Normal or lower. Fine-tuning of a shot is made possible by stroking the screen left or right at the top or bottom of the table. Sound-wise, things are pretty basic, with a sampled “tap” sound for the balls hitting each other and dropping into the pockets interspersed by the odd round of applause when you establish a good break. International Snooker is a great game, one that offers more than the basic snooker experience. There are competition modes, multiplayer modes, a competition tournament and everything is made really easy by the ease with which you can line up a shot. Particularly pleasing is the post-tombstone restart; the game saves after every shot so you don’t end up having to restart (plenty of Xbox LIVE titles could learn from this) and different difficulty settings deliver a variation in the types of challenge on offer. Easily one of the best games on Windows Phone 7! 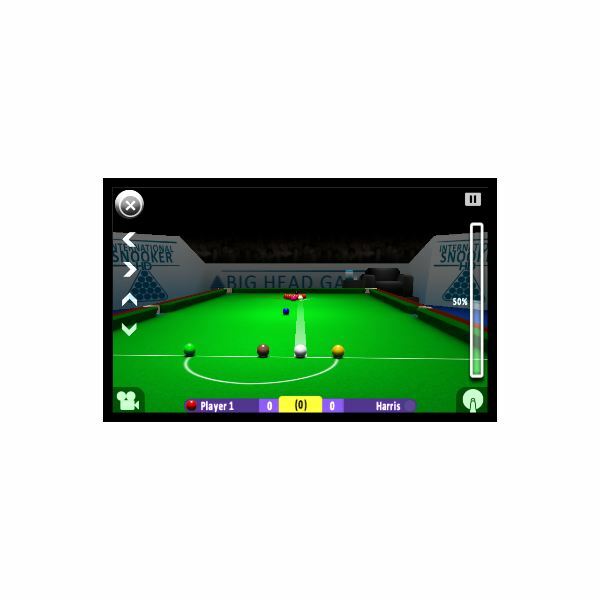 Available for £2.49 (UK price; expect a similar figure in the USA), International Snooker also offers a free trial mode. The game has one of the highest ratings on the Zune Marketplace where it is available exclusively, but there are reports of it not starting in some cases. However, £2.49 is a high price for a game that doesn’t have Xbox LIVE compatibility, especially when the same title is selling at just 99p on other platforms. Unless you’re a real fan of snooker, you might be discouraged by the price. However, note that this is a very stable game that offers plenty of competition and requires judgement for every shot you make, just like the real thing! References and screenshots from International Snooker for Windows Phone 7.